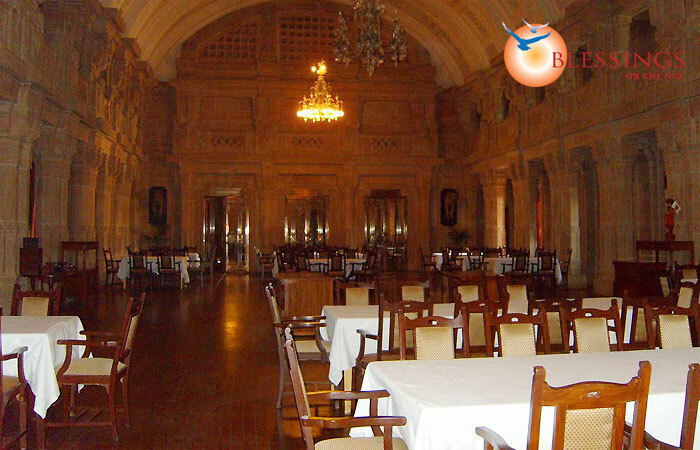 Taj Umaid Bhawan Palace at Jodhpur (Rajasthan, India) is one of the largest and grandest private residences in the world. The palace was built by 3000 artisans worked over 14 years. The palace consumed one million square feet of the finest marble. Jodhpur Railway Station: 6 KM. Umaid Bhawan Palace is perched high above the desert capital of Jodhpur. Guests can savour the grandeur of one of the world's most spectacular palace hotels with a choice of 64 luxurious rooms and suites. The Deluxe rooms boast of art deco interiors and modern conveniences; the Regal Suites have similar interiors with each suite being different. 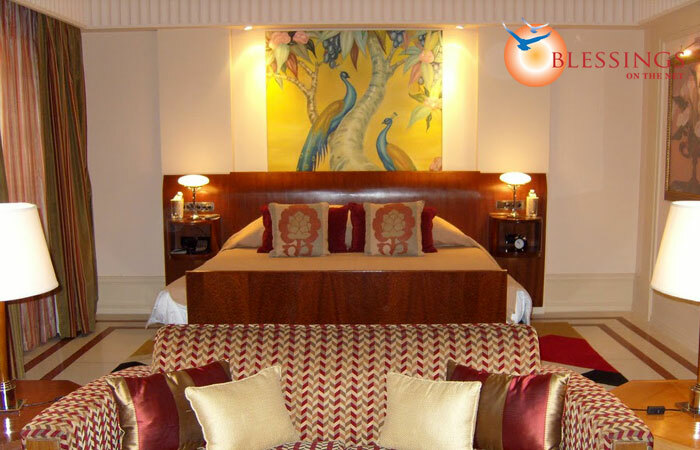 All suites have a private sit-out with stunning palace views of the panoramic lawns or courtyards. 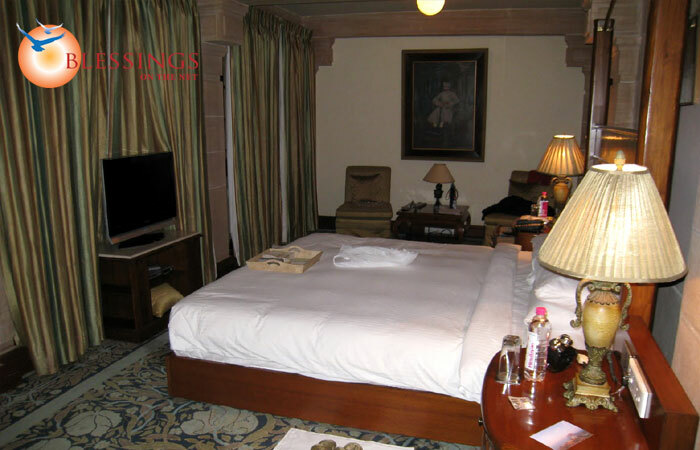 The Royal Suites have a large bedroom and living room overlooking the palace lawns and fountain courtyard. The Maharaja Suite, once Maharaja Umaid Singh's own suite just across the crystal fountain courtyard, exudes an earthy and masculine ambience. The Maharani Suite, originally designed for and graced by Umaid Singh's Maharani, is aptly dominated by a mural of the goddess Kali etched on shining black glass. From casual, all-day dining to formal, fine dining, guests can look forward to a wide array of delectable culinary delights and refreshing beverages. Risala is an elegant ala carte lunch from 1 pm to 3 pm and dinner from 7:30 pm to 11 pm. The Pillars is the coffee shop that is open from 6:30 am to 11 pm and the Trophy Bar serves the choicest spirits and beverages from 11 am to 3 pm and 6 pm to 11 pm. One exclusive dinner at an intimate location with a bottle of house wine with live instrumental music and special fireworks. A different turndown amenity in the room every evening. Hand picked in room amenities such as scented candles, aromatic oils and a bottle of wine. In -room bath set up from the exotic Bath menu on any one night during the stay. Complimentary use of Spa wet areas. 15% off on SPA services, Food & alcoholic / non alcoholic beverage, Telecom, Laundry and Car rentals.